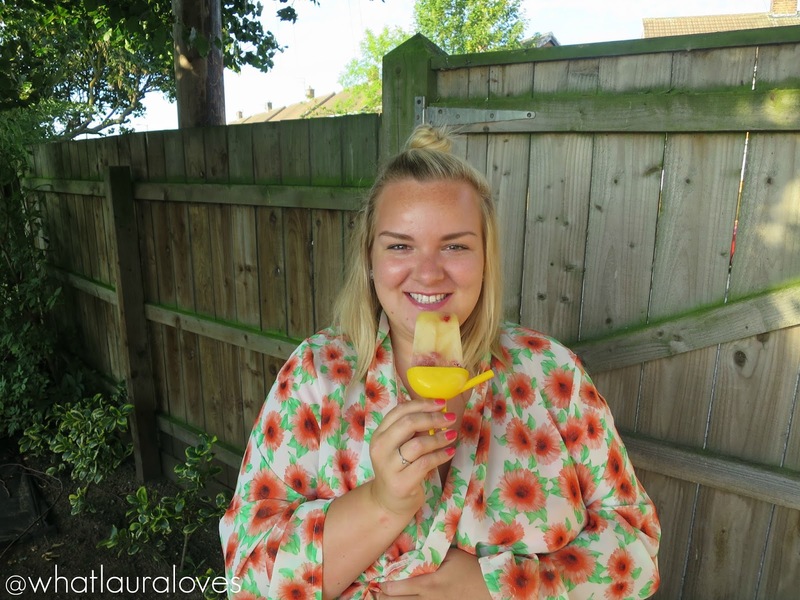 This summer, I have thoroughly enjoyed creating my own ice lollies at home. 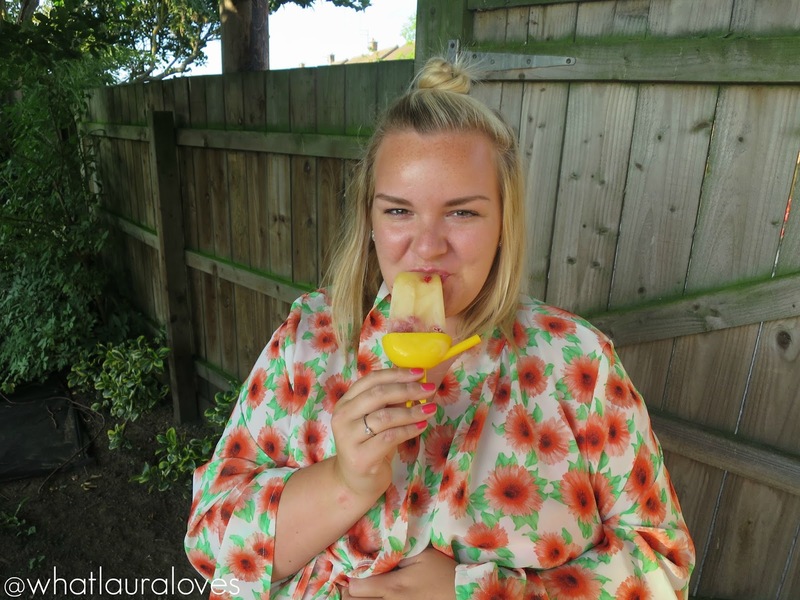 When the sun is shining outside and I’m hot and bothered, I really don’t fancy proper food and would rather cool down with an ice lolly. My favourite combination this summer has to be watermelon and blueberry. I simply fill some lolly mould up with a few blueberries then I pop some watermelon chunks into a food processor with a pinch of salt and a little bit of water, blitz it all together and pour the mixture into the lolly moulds before freezing. However when I’m wanting a summer fruit energy hit, I turn to my Emergen-C fruity lollies. They use Emergen-C in them which is a fizzy vitamin c drink (a bit like Berocca but 100 times better) that’s been out in America for years but has recently come to the UK. Its a bit of a cult product and after trying it out this summer, I can totally see why our friends across the pond love it so much. Emergen-C contains so many vitamins and minerals, which you can read about here, to support your everyday health and it tastes lovely, making it really nice to drink everyday. I tend to get up on a morning and have a glass of the Emergen-C powder dissolved in a glass of water just before my breakfast and I find that it really helps to keep me feeling awake, energised and healthy. The Super Orange drink has become part of my daily routine, I even took the sachets away with me to Turkey and would enjoy a glass each morning by the pool. I especially noticed the way that I didn’t feel so run down after my flight and definitely think that taking Emergen- C after my flight as so many American youtubers have recommended helped with that. 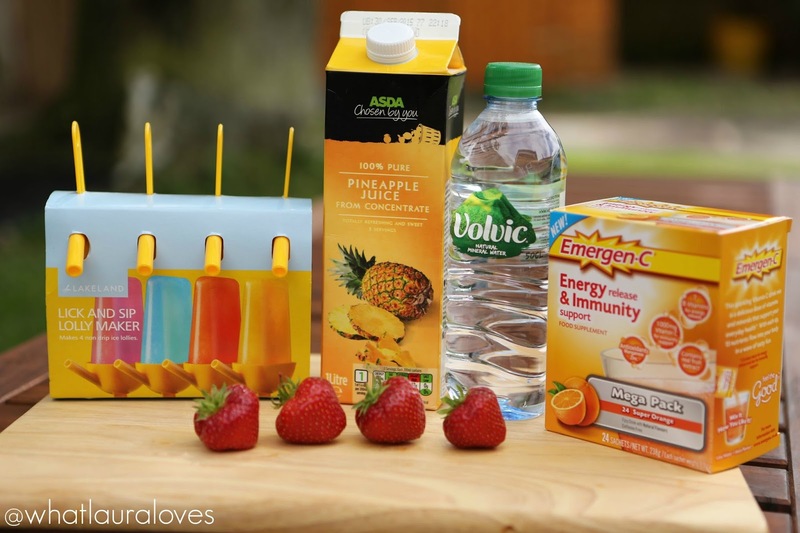 However you don’t have to use Emergen-C as a drink alone, it can be combined with other things to make some really tasty lollies. That way, you’re still getting your boost of 15 nutrients (1000mg of Vitamin C for immunity support as well as Vitamin B12 and B6 which help to reduce tiredness and fatigue and Vitamins B1, B2, B6 and D, Folic Acid, Niacin, Pantothenic Acid, Potassium, Calcium, Magnesium, Manganese, Chromium and Zinc), while enjoying a tasty snack at the same time. Now I’m not a one for measurements so I’d suggest eyeballing it depending on the size of the lolly moulds that you have. Mine are from Lakeland, you can find them here. Simply mix up the Emergen-C as per the instructions on the packet with some water, bottled or otherwise, and them top up with some pineapple juice. 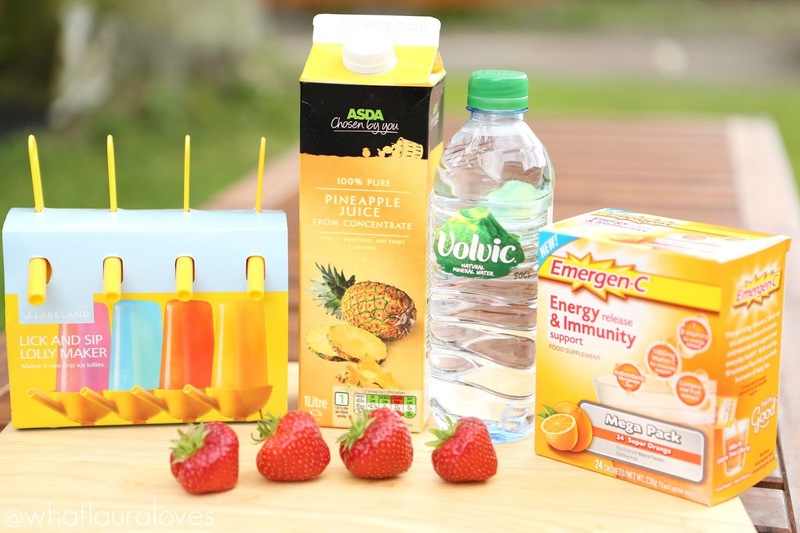 Chop up some strawberries and and those tho your lolly moulds and then fill them up your Emergen-C pineapple juice and freeze, preferably over night and then enjoy! I’m thoroughly enjoying using Emergen-C as part of my morning routine. I haven’t had it over the last week as I wanted to see whether how I felt without enjoying it each day and whether the vitamin boost was just a placebo effect and it certainly isn’t. I’ve definitely noticed a slump in my energy levels and I haven’t been feeling as great in myself so I do think that it makes a difference to me and I’ll absolutely be purchasing more. They also have lemon and strawberry varieties that I think I would like to try next. Emergen-C is available in the UK here and in the USA here. What iced lollies do you like to make at home? P.S. 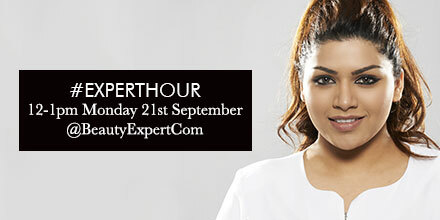 If you’ve got a skincare question that you’d like to have answered, then check out the @BeautyExpertCom Twitter Chat with resident pharmacist Hira tomorrow between 12noon and 1pm, with the hashtag #EXPERTHOUR. I haven't tried emergen c. I always assumed it was just for taking if you felt bad after traveling to ward off colds. I guess I need to look more into it after all. ah.. what a great idea! I love emergen-c (especially when I feel a cold coming on) but I would have never thought to put them in iced lollies. 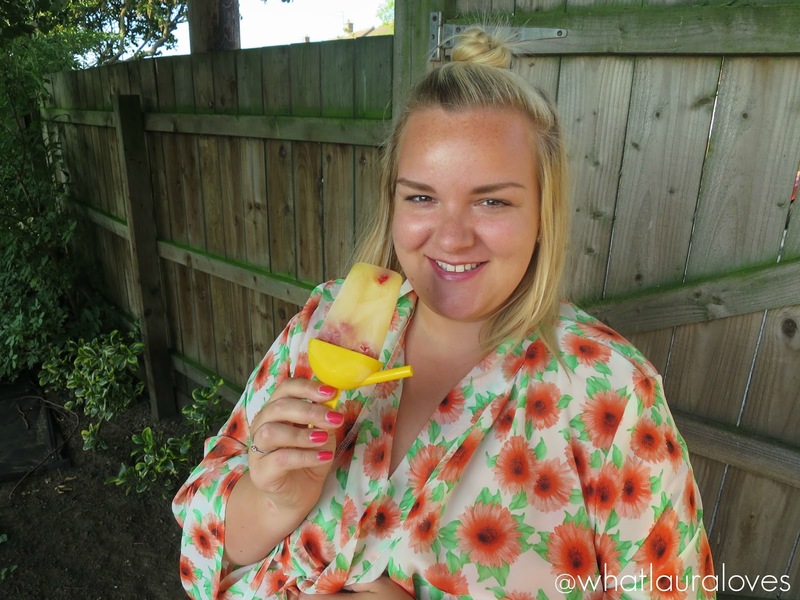 The watermelon and blueberry ice lolly sounds refreshing and perfect for my sore throat! I just wish that the weather was better to enjoy them. Wow! I so want to have one now!